People queue up for hours for a taste of this Brooklyn pizzeria's wood-fired pies. 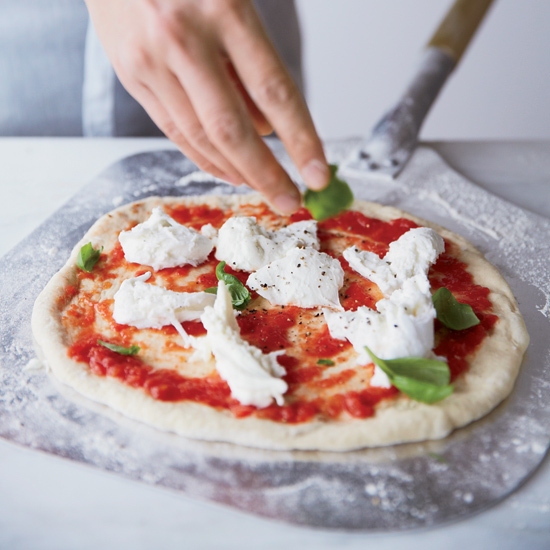 The margherita, with tomatoes, mozzarella, and basil, is delicious in its simplicity. 33 years ago in the birthplace of pizza, a few people decided that there was a right way and a wrong way to make a pie. I ate some great pizza in Northampton, Massachusetts last weekend at a place called Joe’s Café. I know: “great pizza” and “western Mass” aren’t exactly synonymous. But the few times a year I’m in Northampton I make it a point to pop by Joe’s for a “Joe’s Special” (green peppers and pepperoni) and a $13 carafe of Burgundy that can best be described as wine. What sets Joe’s apart is the style of pizza they sling. Part New England bar pizza, part Greater , and part , Joe’s pies don’t offer any truths about the pizza of a specific region. They’re amorphous. What they do offer is an admission: pizza is universal, and this polyamorous union of dough varietals taking place in the Pioneer Valley is proof. While this writer likes very much the idea of a pizza that borrows from three separate traditions, there are some people who are serious about the singular nature of their pizza. Profoundly serious. Cue the Associazione Verace Pizza Napoletana—the True Neapolitan Pizza Association. 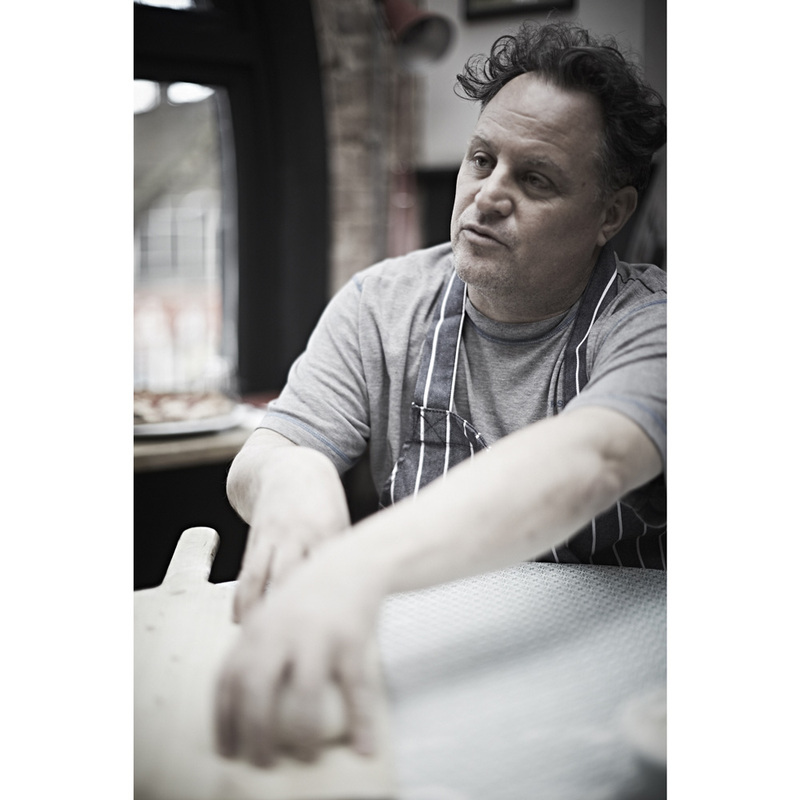 "To promote and protect in Italy and worldwide the 'true Neapolitan pizza' ('verace pizza napoletana'), i.e. the typical product made in accordance with the characteristics described in the International Regulations for obtaining a collective brand mark 'True Neapolitan Pizza.'" First (both in constitution and philosophy), a pie worthy of the AVPN seal of approval must be one of two things: marinara (tomato, oil, oregano—and not that dry stuff sitting in the back of your cupboard—and garlic) or Margherita (tomato, oil, mozzarella or fior di latte, grated cheese and basil). The rules of gastronomy, people. Insert :tears of joy: emoji. You also have to use specific tomatoes (a few D.O.P.s are acceptable) and mozzarella. And you should be vigilant about which oil you use (make sure it’s resistant to high temperatures). But wait, there’s more: If your basil isn’t fresh, you’re not making real Neapolitan pizza. If your oregano isn’t Origanum vulgare from the Labiatae family, you’re not making real Neapolitan pizza. And if you’re not letting your panetti (dough balls) rise in a mattarelle (a case to hold dough balls, usually made of wood), you’re most certainly not making real Neapolitan pizza. It all seems overwhelming, especially if the pizza is already good enough to speak for itself. To understand why so many pizzaiolos subject themselves to such strict standards, I called up Clementina and Alessandro Scelsi, the owners of an AVPN certified pizzeria in Belfast, Maine called (yes, there is world class pizza to be eaten in Maine). Clementina and Alessandro are both from Italy—Clementina from Salerno; Alessandro from Torino. Alessandro makes the pies—he got his AVPN certification in Naples—and Clementina runs the business. They’re both very serious about pizza, and equally as serious about the AVPN certification. Clementina says she and Alessandro—who both lived and worked in D.C. before eventually settling in Maine—chose Maine because it reminded them of Italy. The AVPN certification protects a food tradition and that is a good thing, but I still wondered if—especially in the United States—the certification functioned more as a marketing tool than anything else. A pizzeria does not need to be AVPN certified to make great pizza—the best pizza I ate in Naples (at Lombardi a Santa Chiara; you should go there) was from a pizzeria sans certification—but if your pizzeria is AVPN certified, the odds say you’re probably making excellent pizza. And if that’s the case, what’s wrong with a couple of rules?